Winter is the season when many cyclists review the year’s riding season and think about a new bike. If we were to order (or even build) a new bike, what we would do differently? In the Winter BQ, we look at this question from many angles. We test a titanium Allroad bike from Moots that is designed for pure performance. Not only do we ride it as intended, but we also explore its limits. How much adventure can a production bike handle? At the other end of the spectrum is the “Mule”, the steel Rinko bike I built for travel in Japan. The Mule is a full custom bike equipped with the very best components, yet it costs less than many stock Allroad bikes. The Mule has surprised me with its performance and versatility – there is hardly a ride where it doesn’t offer excellent performance. To celebrate its second anniversary, I took it on an epic ride across the rain-soaked Cascades to the Bicycle Quarterly Un-Meeting. For those on a more limited budget, Steve Frey explains how he made a competent 650B randonneur bike out of an old Trek with few tools, learning the skills as he went. The promise of the Allroad bike is alluring: It’s the one bike you’ll need for almost all your riding needs. Where does a road bike with wide tires reach its limits? We found out by entering an Enduro Allroad bike in the toughest mountain bike race in Japan (cover photo of this issue). All these bikes have one thing in common: wide tires. Wide, supple tires really have revolutionized cycling, and we are still figuring out the limits of that exciting trend. In this issue, we test how fast wide tires roll on smooth roads. Do you give up anything when joining a fast group ride on 42 or even 52 mm tires? We are especially proud of the next feature: For the first time, Panaracer has allowed a photographer into their factory. See how some of the best tires in the world are made largely by hand. 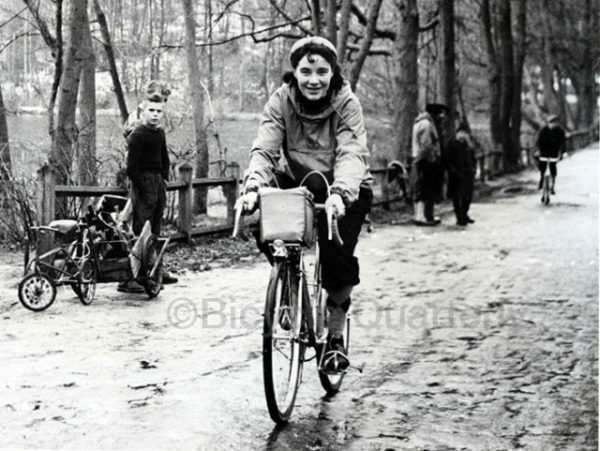 Many of us are inspired by cycling’s golden age, when riding bikes was a way of life rather than a pastime. Our photo feature takes you right to that wonderful time when life revolved around rides, brevets and other cycling activities. Some of the best rides aren’t about performance at all. A tour of the Tango Peninsula in Japan takes us to a breathtakingly beautiful and remote region that is within easy reach of the big cities of Kyoto and Osaka. Other articles report from the Bicycle Quarterly Un-Meeting, explain why a bike can be ridden no-hands and much more. We hope this issue will give you plenty of ideas and inspiration as you plan how and where to ride next year. Are Wider Tires Slower on Smooth Roads? Performance is Important for Slow Riders, too!